This fascinating exhibition unlocks the mind of the original Renaissance man — Leonardo Da Vinci. 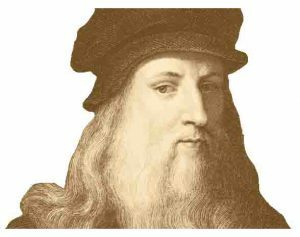 Italian scientist, painter, writer, sculptor, inventor, architect, engineer and musician Leonardo Da Vinci (1452-1519) is considered one of the world’s greatest geniuses. Featuring more than 60 life-size reproductions of his inventions, more than 20 detailed art studies, and dozens of stunning displays, guests will learn about da Vinci’s discoveries in engineering, flight, light, anatomy, music, hydraulics and more. Each invention featured within Da Vinci The Exhibition was handcrafted utilizing a modern translation of da Vinci’s unique mirrored writing style in an ancient Florentine dialect. Trained artisans used these translations to construct full-scale models and bring the master’s two-dimensional plans to life.